With only a brief preview of its new iPhone, Apple has yanked the rug from under the rest of the industry. The talking heads desperately need to something to say. Here's what they'll all be saying, and why they'll be wrong. Myth 1: the iPhone is missing EVDO (or some other high end feature) which will stifle adoption. Yes, it's true: home engineers will spout all sorts of ideas that the iPhone "should have had" or "desperately needs" to be competitive. None of that matters however. The iPhone is intended as a mass market product, not a niche product that is interesting, but ultimately impractical, overpriced, and not quite ready yet. The latest bleeding edge of features wouldn't dramatically improve the device, but would jack up its price and kill its opportunity to find a large audience. Contrast the 1994 Newton. Apart from being a magical tablet, it didn't have much mass market appeal at its $900 price point. Palm demonstrated (many years later) that gadget users might pay $300 for a PDA, but nobody has been able to sell any mass market, handheld entertainment device for well above $600. •The Xbox 360 and PlayStation 3 both appear to be priced too high; sales of both are below expectations. •Microsoft's Origami handheld / tablet devices did not sell at all at its awkwardly high price point. •Cheaper, more practical devices, from the PS2 to the Wii to the iPod, have all been selling like hot cakes. Myth Two: The iPhone is priced too high. It needs a 2 GB version for $299 lacking phone features. It is true that the iPhone isn't cheap, but it's also not expensive when compared to similar phones, which... aren't yet available. Like myth number one, this idea rests on the assumption that prices are infinitely scalable along a regular incline. They are not. If you eat in a restaurant, you can't order half a meal for half the price, even if you're not very hungry. That's because prices are set in a complex balance. Simple bulk food can be purchased by the pound, but when you start substituting or carving up a finished product designed to sell as a menu item, the costs of accommodating your changes can end up being higher than the actual cost of materials. It’s the high price of integration. Leaving the restaurant and entering the engineering lab: it makes increasingly less sense for Apple to offer multiple versions of the iPhone. Currently, there are only two: 4 GB for $499 and 8 GB for $599. Apple wants you to buy the 8 GB version, but is accommodating a larger market by offering a 4 GB version. By offering a huge variety of smaller or otherwise limited versions, Apple would start giving up sales for lower price points, without any upside. In other words, a 2 GB version, or a version without phone features, would bleed from the market for higher end iPhones, and trade away those profits for increasingly fewer new adopters. It’s the law of diminishing returns. That would also convert the iPhone from being a groundbreaking new device into a more anemic one with less power. If all iPhones have at least 4 GB, it means developers don't have to target a 2 GB unit as the lowest common denominator. To shatter one final straw: the iPhone is priced and featured to sit in the existing iPod lineup without contention. Currently, the iPod Nanos and 5G iPods overlap slightly. How exactly would an iPhone minus the phone, or minus some other features, not destroy this balance? Where would it fit? 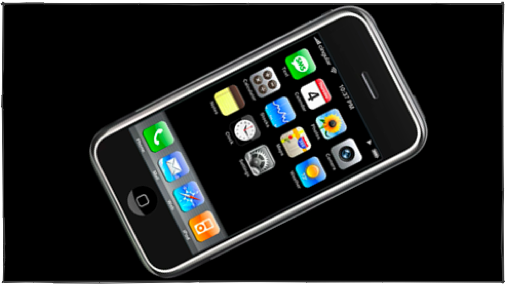 Myth Three: The iPhone should be sold unlocked, not tied to Cingular service. In speculating about Apple's phone offerings, I suggested that Apple could sell a phone device either as an MVNO (acting as a business front by reselling another cellular provider's service) or as an unlocked device (which buyers could take to any service provider). Instead of either path, Apple signed up an exclusive deal with Cingular. The exclusive deal likely gave Apple bargaining power in subsidizing the phone. It also provided Apple with leverage for supporting features specific to the iPhone. For example, Apple could prod Cingular into making changes to its network to support the iPhone's visual voicemail, which presents messages like emails rather than forcing the user to navigate through them while listening on the phone. Going exclusively with Cingular also allowed Apple to deliver one universal phone using GSM. I had earlier pointed out why that would result in a more efficient and elegant model for Apple, which tends to focus on building a single product that can be sold in multiple markets. In relation to Cingular, it also allows Apple to provide a more integrated product with specialized features, and keep things simple in order to deliver a solid product. All of these reasons support an exclusive provider. So why isn't Apple likely to sell an unlocked version? "When a phone is unlocked it loses its privileges on a provider's data network. An unlocked phone can make GSM calls and send basic SMS. No MMS, no Internet, no iTS. Apple would either have to reverse engineer a method to gain access to the data network (unlikely as most data networks require SSL-level security to access) or it would have to offer something different." By ‘something different,’ Hall referred to WiFi or some other data service. "Going with an unlocked device would be the path of greater disruption and I hope Apple takes that route because I despise the US mobile phone business model," he said. What Apple ended up doing, of course, is a mix of both: linking the phone service to a single provider to get tight integration with advanced features, but also offering WiFi and Bluetooth services for data service when available. Apple reps say the new iPhone will automatically use WiFi whenever it’s available, and use EDGE when a WiFi network isn't. But as Hall points out, even if Apple were to sell the iPhone unlocked (or users were able to unlock it without authorization), the unit would only be able to make basic calls. It couldn't do remote web, push IMAP, visual voicemail, and various other services that are key features of the device. Of course, it would also cost hundreds more without Cingular subsidizing it under a two year contract, pushing it out of the reach of many buyers. By linking the phone to a contract, Apple can offer more value than it could selling it at full retail. Other expensive devices, from the Newton to high end Palm and WinCE devices, have all not sold well. Myth Four: The iPhone software is a closed model, therefore the sky is falling. In Device Problems In Search of a Solution, I presented a few problems with existing phones and PDAs. In addition to poor and inconsistent interfaces, existing phones suffer from software platform problems. Some have unique platforms for programs (such as Verizon's BREW) that end up only offering expensive junk games, while others have third party development (such as Palm and WinCE / Windows Mobile) which tends to result in being insecure and unstable because the various apps that get loaded are prone to crash the system. As I predicted, the iPhone will use a software model similar to the iPod, although the new iPhone runs a version of Mac OS X, not the same system as the earlier iPods. This closed model solves several problems. •First, it creates a viable platform for developers, who can actually sell a product instead of simply trying to subsist in a tiny market on shareware donations. •Second, by creating a viable market, it allows developers to sell in quantity at a lower price. 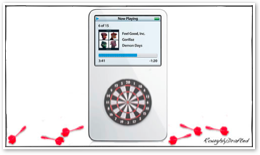 Apple targeted iPod games at $5 each; for comparison, typical Palm games are easily $20. •Third, it ensures that junkware, adware, spyware, and malicious viruses can't put themselves on the iPhone. •Fourth, it allows Apple to enforce a standard of quality so that third party software doesn't turn the iPhone into a device known to crash or be riddled with security problems. Panic mongers who think that the iPhone needs to be a hobbyist development tool should take a good look at the state of development for Palm and WinCE before recommending a similar mess for Apple. Myth Five: The iPhone is just a phone with features lots of other phones already have. This will be popular among the Thurrott crowd, who like to downplay innovation by saying something vaguely similar has already been done. Yes, the iPhone is a phone, but you'd have to be a complete moron with zero vision to look at it and say “it's been done before.” Key features are not only shockingly well presented, but will be difficult to even copy. •The multitouch screen isn't innovative because it's a touch screen; it's new because it offers a finger gesture system that just makes sense and is intuitive. •Visual voicemail is obvious in retrospect, but nobody in the last half decade of phone development at Palm or Microsoft thought to fix the problem. •Ever use an existing phone's web browser? Apple has demonstrated the difference between a placeholder product and a well executed one that actually works. Myth Six: Cisco owns the iPhone name, which presents an impossible conundrum of epic proportions. First of all, who cares what this is called? Apple could call it the Apple Phone. It could call it "French Canadian Genitalia" or even "the Hebrew Profanity" and still sell it. Nobody is looking for a product named the iPhone, they're looking for Apple's iPhone that works as it was demonstrated. Second, trademarks are only useful if they are protected. That's why Cisco is falling all over itself to issue a flurry of press releases indicating that Apple will be agreeing to pay it for use of the name. However, the iPhone name isn't associated with Cisco's Linksys products, its associated with Apple. Further, Cisco has been sitting on the name for years without using it, which wouldn't help its rather fragile case for owning the term. If Cisco had built a reputable brand upon the iPhone name (which it only recently applied to a Linksys VoIP phone set) then it might seem reasonable that Apple should pick another name or license the term. But it hasn't. Cisco used the name like a submarine patent in an attempt to hijack interest surrounding Apple's mobile phone. Anyone unglued about the name of this product is seriously logic impaired. It doesn't even matter in the slightest. Myth Seven: Apple will need to port iLife 07 to Windows in order to have a photo viewer for PC users. Okay, so I'm scraping the barrel with this one, but this was an actual argument presented about the iPhone. Yes there is no iPhoto for Windows, but no Apple won't solve the problem. There was a good business reason for porting QuickTime and iTunes to Windows. 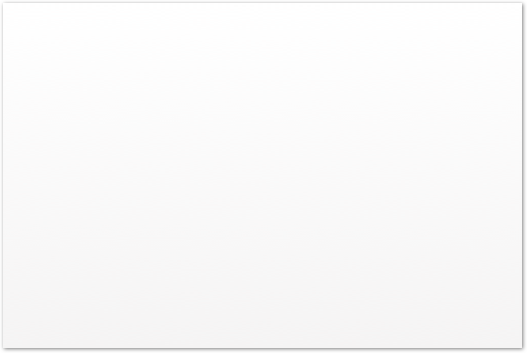 There is not one for porting iPhoto, or any other applications that add unique value to the Mac. This idea becomes more absurd when considering that Windows users already have a number of photo apps, including Google Picasa, Adobe Photoshop Album, and the basic photo app built into Windows. How many of those users would even want to move to iPhoto? Frankly, Mr. Beschizza, it is obvious why you write for aesthetic obsessive magazines rather than engineer actual products. But thanks for continuing the bothersome tradition of repeating the complaints of yesterday’s wags. The iPod’s integrated battery didn't prevent 70 million people from buying one, nor did it prevent a variety of cheap replacement services--including do it yourself kits--from appearing. In contrast, after a couple years of Palm Treo 650 ownership, I can report that the only reason I've pulled the battery is to recover from frequent crashes or when fiddling with unnecessarily complex firmware updates. I pretty much hate my Palm Treo, but I really liked my Palm V and Vx, both of which had a sleek integrated battery that gave me no fits at all. With an integrated battery the Treo would at least be less of a brick. Having an extra battery to swap in makes sense on a laptop, but does not make sense for a phone, particularly one that has standard external battery packs that can be used via its dock connector. Well, it turns out that iPods only scratch when you scratch them. Apple could probably offer a fancier PSP like screen with a turtle wax coating more resistant to scratching, but guess what? Everything wears, in direct proportion to how well it’s taken care of by its user. Prior to going on a trip, I bought a plastic shell for a 5G iPod I brought with me. I found that the shell just made things worse, by trapping dust and etching up the iPod inside the shell. Had I simply kept it in a pocket, or applied a protective film instead, it would likely have not been scratched at all. My Treo has a screen that hasn't been scratched up at all, largely because I religiously keep it separate from any keys or loose change in my pocket. Compare the Zune, which has a cheap looking plastic Tupperware-like lid that looks crappy around the edges almost immediately, even in minimal wear on display in stores. Scratches? That’s the wear indicator feature. Myth Ten: Apple can't figure out how do do a phone. In addition to CNET's Michael Kanellos, whose lame attempts to antagonize were profiled in Apple iPhone Rumors Off the Hook, Palm CEO Ed Colligan also insisted that Apple would be out of its league in making a phone. Yes, Apple just walked in and noticed you were incompetently selling the same old crap with slight hardware improvements over the last half decade, and decided to kick you out. Hey Palm: don't let the door hit you on the way out!